Over the past week, across my Instagram and twitter accounts, you have seen my pics of the Brazil’s- a new offering from the folks at XX2i. I had previously reviewed the XX2i Australia’s which have been a great addition to my running gear. As a result of my relationship to BibRave as an “Pro” I was offered a chance to test out this new offering from XX2i and I jumped at the chance! 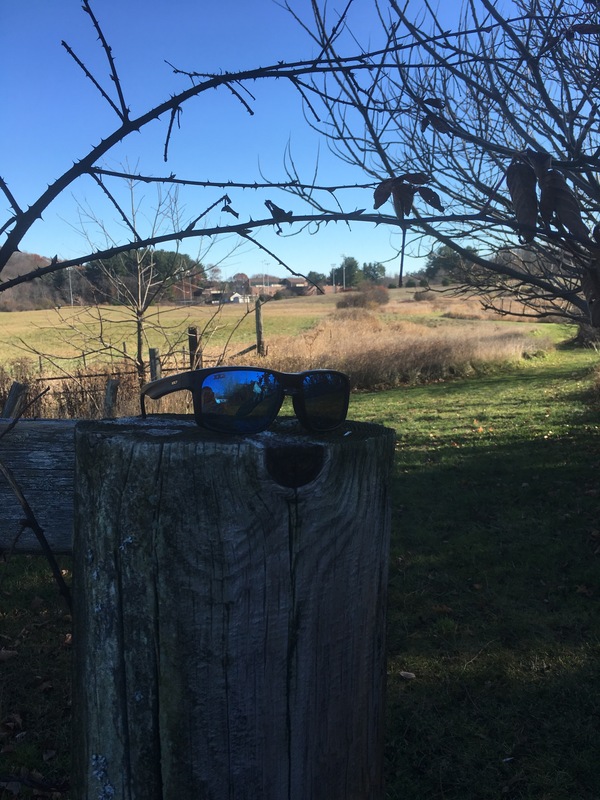 So just in the previous review, how about some some background on my “sunglasses habits” that will help frame this review. 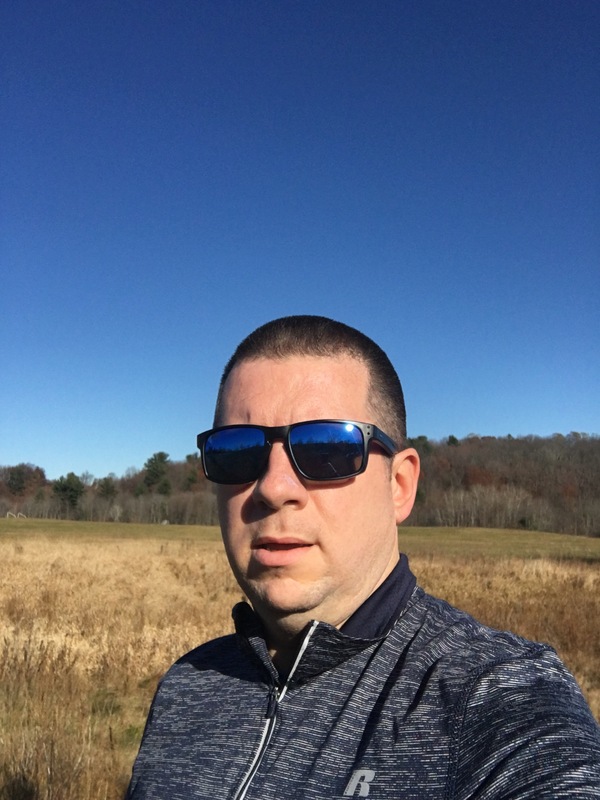 First, I am a regular wearer of sunglasses but not of the expensive variety – more of the $20 to $30 pair you find at BJ’s or Macy’s (I wear the Australia’s for running often but don’t wear them casually because I don’t want to break them). I favor smaller glasses though since getting the “Aussies” I have started to wear slightly larger glasses. Now enter the Brazil’s! Before proceeding, what are the Brazil 1’s? Here is a snippet from their site. So what are my thoughts on these sunglasses? Well, my first impression was negative. I thought they were too bulky and big. As one of my fellow BibRave pros mentioned, they are “retro” – basically both of us acknowledging that sunglass sizes steadily have fallen for the most part since the 1980/1990s and the Brazil’s fit for a time a while ago. (Think Tom Cruise in Risky Business which was my example in talking to the pro). So as I have worn these more and more, I have come to like them more and more. Not sure if this means they are “growing on me” or have already “grown on me” but overall, I would rate them pretty good versus my pretty negative first impression. So what is the good, bad and ugly? Here is a rundown. They hold to my face very well while running which I could not say the same for the Australia’s initially. They don’t slide much and as they either appear to run small (which is why they seem tight on my head) or my head is just big! They block the sun well though not nearly as good as the Australia’s. With that said, they are half the price so quality is expected to be less. They do a good job the Aussies not withstanding. Driving wise, they don’t cause me problems with my instruments of either of my cars. Glare was just a killer with the Aussie’s but with these, the backup camera on my car is loud and clear and that extremely important for safety! Price point is higher at $99.99 (you can save though on theses with code Brazil1 – 60% off through Tuesday night). That level seems reasonable given the durability and warranty. These glasses seem very durable. They are very strong like the other offerings from XX2i and so far have held up well to being stepped on (by accident of course) and dropped (again more follies on my end). 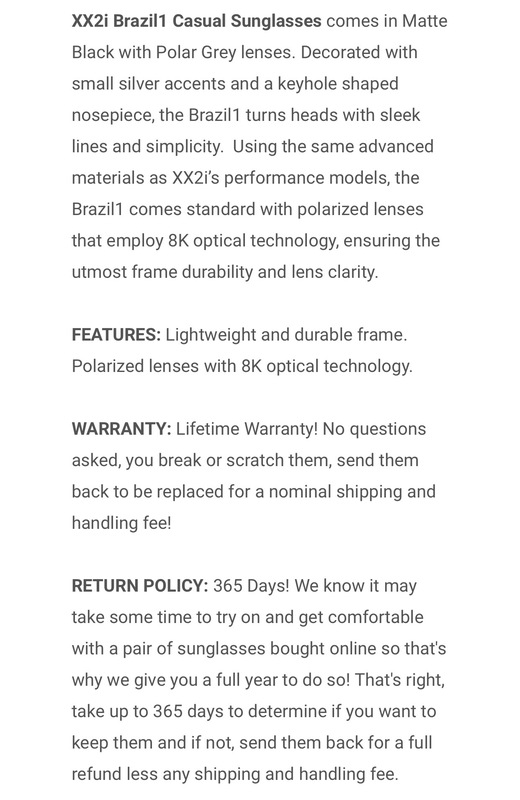 Lifetime warranty – for a person like me who constantly breaks sunglasses, this is a great option! 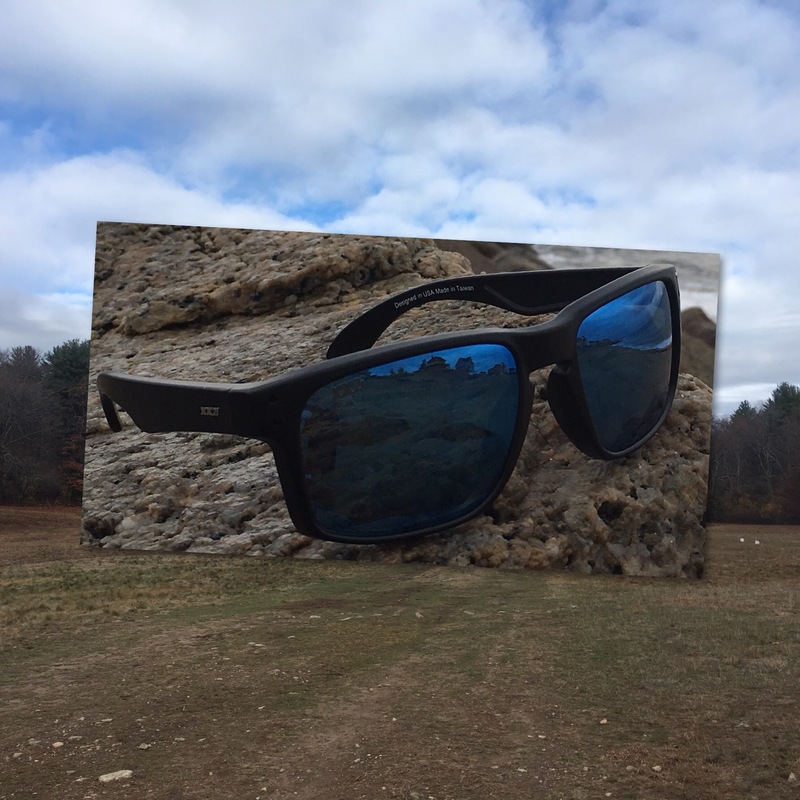 Polarized lens – not as strong as the Aussies but it does the job! Durable! Did I mention they were durable which means the warranty may never come into play! Next Post TR: The Quest to be Great!